The winners of the Pollytracker competition are finally unveiled ! Complete results and comments from the judges are on the official site. note: You wonder who the geezer in the picture is ? well just get in here dog ! zoom (clk) to read the full text. 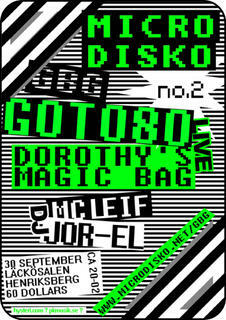 If you are around there, make sure you don't miss the Microdisko/gbg night coming up this Friday 30th September in Läckösalen, Henriksberg, Sweden. 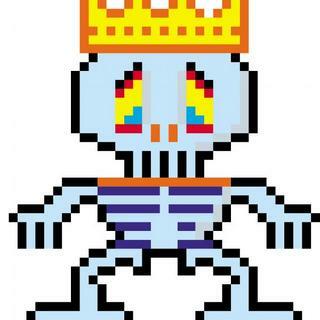 From the UK in London, Flat Four Radio, an independent radio show is currently featuring a 3 part chiptune music show, where the 3rd part is a Commodore 64 SID music special with classic SID tunes and contemporary chip artists like Aleksi Eeben and G0T080. You can read the show schedule & tune in here. It will be online for a month and then it will be available at archive.org. Recently found out about Tobiah, he comes from Sweden and he started getting his music out through Micromusic on a beautiful 12" vinyl picture disc with 'I don't really exist' a few years ago. Wicked track I must say, I just love those kind of synthetic spaced out voices. 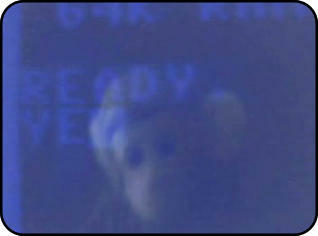 According to his website he is now busy doing some videoclips, a project called 'Ready.' and a shortfilm. 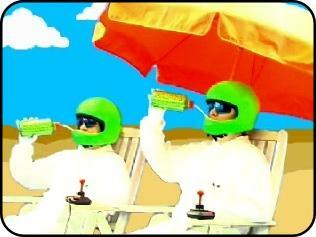 oh... and I guess this is one of the videoclips he is talking about, a video featuring that geek monkey. rockin' & expecting to see some more of Tobiah in the future. dear bleepers, now that the summer is officially over we want to select 'Bravo' by G0T080 as the freshest summer release of 2005, released by Candymind in June and completely free to download and drive you nuts. For those who didn't know, Candymind is a very fine netlabel which we really admire that will satisfy your bleeping addiction for a while. 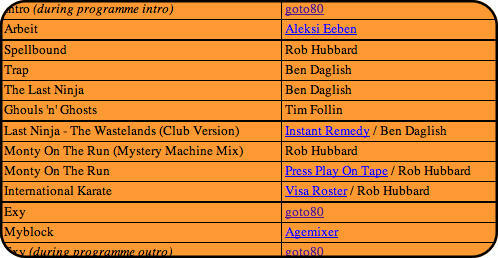 Just check out those wicked releases ! So yeah, Bravo is definitely a nice and clean release you should discover if you haven't yet. Last saturday was the 1 year Micromusic anniversary party at the Wagenmeister in Basel, some live sets by Crosis + Cube C & Emiglio Laser. Check out some pictures here or here. I know, watching party pictures is a bit plain but it's so lovely to see those Commodore 64 Midiboxes on stage...and check out that microcrowd! 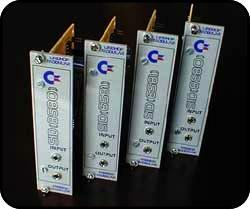 Get some music from Cube C & Emiglio Laser at their website. 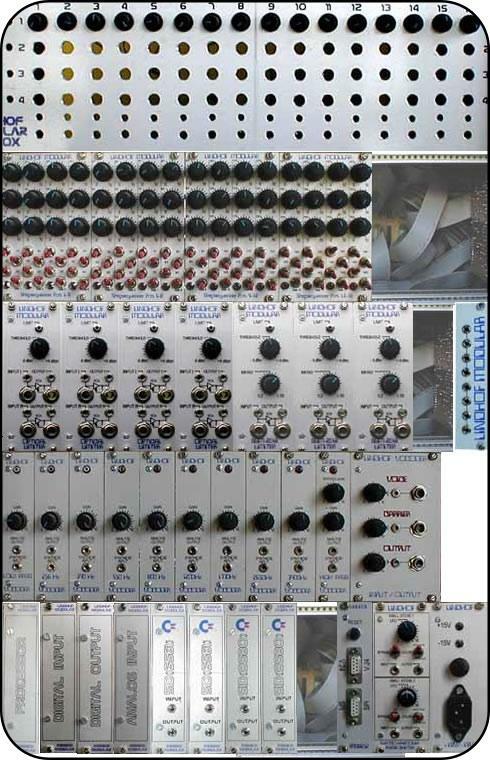 Some serious modular synth building is going on in the lab of Dirk Lindhof, he has worked on a 19" rackable modular synth that includes modules based on the 6581 and 8580 SID chip, so again the SID leaves home to work somewhere else. 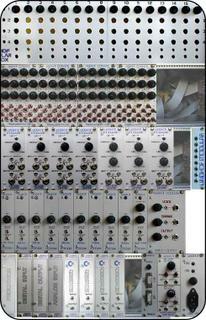 The modules are total independent 3 voice synthesizers, where you just plug another module to have more voices. 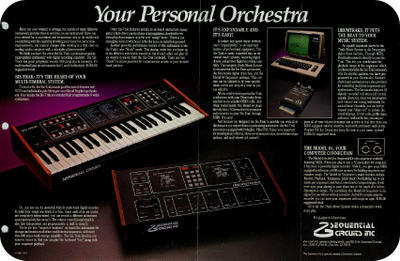 After designing the SID for Commodore, Bob Yannes co-founded the well known Ensoniq Synthesizers company. 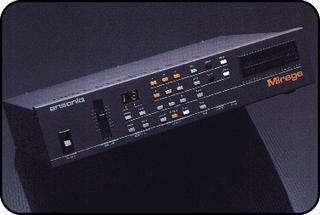 Those who are lucky to own an Ensoniq Mirage Sampler will be happy to know about the Mirage Data Displayer and MirageFreq. 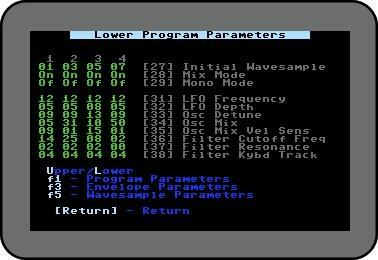 M - Mirage Data Displayer allows you to display Program, Envelope and Wavesample parameters of the Mirage on the screen of your Commodore 64 and it also includes a 'graphical' display of the waveform (256 samples at a time). Apparently the author finds it useful as a looping tool and for editing since he can see the parameters for all four programs at a glance. 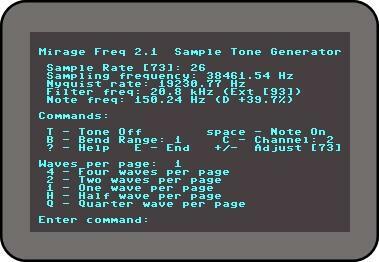 MirageFreq essentially does one thing - it generates a tone that matches the current sampling rate of an Ensoniq Mirage. It does this by requesting the current sample rate via MIDI (MASOS 2.0 must be booted up), and then calculating the sample rate and producing a tone on the Commodore SID chip. The reason this is important has to do with the way the Mirage handles short loops. To work correctly, the length of a short loop should be a power of two: one, two, four, etc. and the number of the first page of the loop should be divisible by the length of the loop. If I would have the Mirage I would dedicate a 64 just for these 2 tools. I personally own an Ensoniq ESQ-1 and I still haven't found something like this for it, so enjoy it if you have the Mirage. 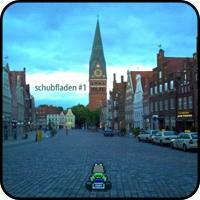 Again from Germany, one of the places where 8bit-music is truly a vibrant scene, comes Julian Schmidt also known as a boy and his SID. One of his tracks was released last week in the 7" Schubfladen #1 compilation through the Musikfladen label together with other fine micromusicians such as firestARTer, Naomi Sample & The Go Go Ghosts and Mr.Tingle. A C64Music! 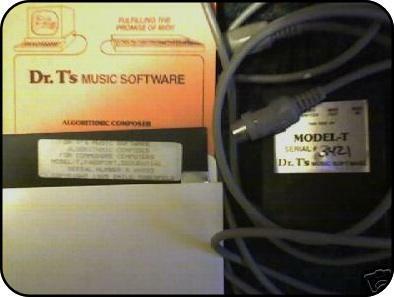 reader informed us that he spotted an original copy of the Dr.T's Algorithmic Composer software , cartridge, cables and manual... it finally went for only 1 bid at 2.50$ !!! 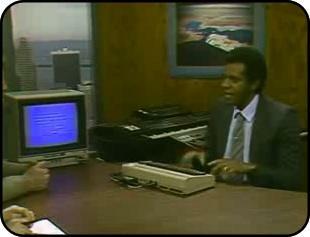 Apparently, Jan Hammer found out about it when Algorithmic music was kicking in the late 80's and bought a Commodore 64 system to exclusively run the Algorithmic Composer along his 30.000$ Fairlight and used it on his famous Miami Vice Soundtracks. Dr.T's software was founded in 1984 by Emile Tobenfeld and the killer app was the KCS (Keyboard Controlled Sequencer) which was the first sequencer that offered event editing and open-ended composition structuring. 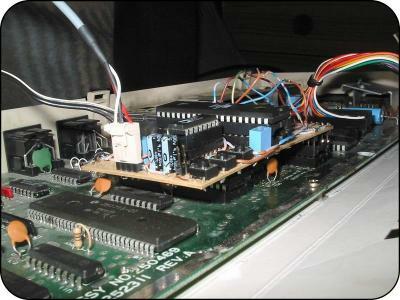 This program evolved for many years, and eventually became Omega II, for the Atari (latest official release in 1993). Along with Plemo, this has really been played in the C64Music! HQ lately, not to mention that they are constantly being played in Micromusic radio plus lots of good reviews that they are getting from the German music media. Yes, They are total chipstars. 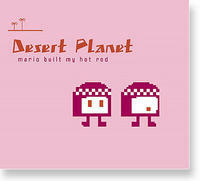 Desert Planet released their last album a couple of months ago through the stupido label in Finland and 9pm records in Germany followed by an European Tour. 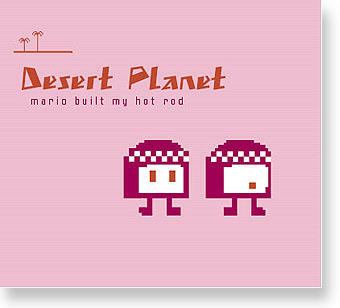 This last album is called "Mario built my Hot Rod" and contains 12 songs (one featuring Aleksi Eeben on the Vic20) and 3 videos, where the opening track ''Return of The Ninja Droids" has already been predicted by us to be a future cult classic for the PostSID scene we are currently living. 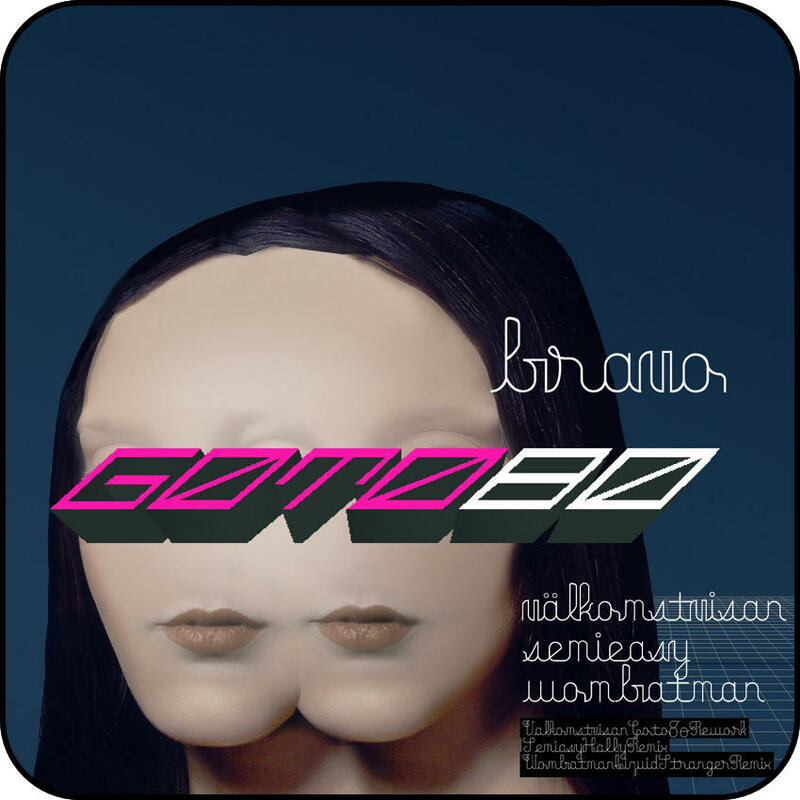 Some deep Sidesque feelings buried in these tracks that will inmerse you into a deep 8-bit existentialist mode. website for more info + downloads. Original story here. Video here. 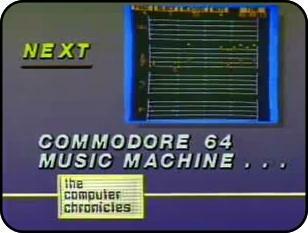 A whole chapter from the Computer Chronicles TV series totally dedicated to the good ol' Commodore 64. 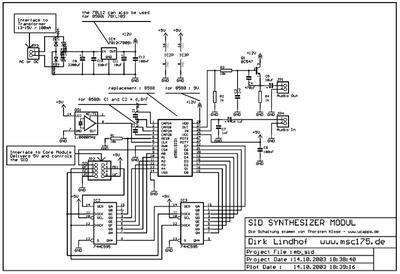 Let Bill Morrow tell you about how great the Commodore 64 is for music applications, he presents the SID like it had 3 'musicians' in it and somehow manages to say Delay instead of Decay when he talks about the ADSR. He does a very very quick demo in Master Composer and briefly shows Dr.T's Sequencer hooked up via a MIDI thru box to 3 synths a drum machine and a tone generator. Find it here, it is one of the last interviews of the video. way old school attitudes. Also, be sure to not miss the interview with Grandma64 at the beginning, way intense for the Commodore scene. 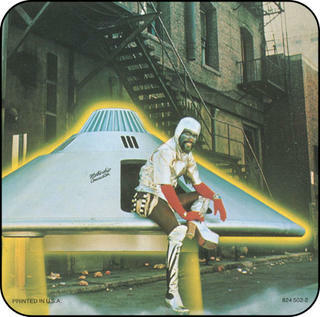 The point of all this, does anybody know where this Dr.T's Keyboard Controlled Sequencer is to be found ? I have been looking for it for ages on the net with no luck. Does anybody have a 'spare' copy ?? Analyze this! Ransid is a tool for analyzing SID tunes -- how the tune is constructed, how instruments are constructed, etc. If you're one of these people who worries that their "secrets" might be discovered, well, get over it! A major reason this was written is that it is so hard to find information on designing instruments! Technically, ransid works pretty much the way you'd expect: it maps RAM into the $d400 area, calls the player, then copies the result into a buffer. 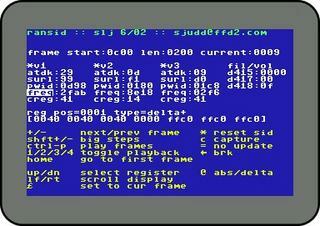 Once the specified number of SID "frames" are captured, it then provides a set of analysis tools for examining frames and registers, playing the tune, etc. you might also want to look at the Iseq and all the other Commodore 64 projects from the Fridge. Yo Sid'z ! We are back from the holidays and obviously the weirdest thing that happened to the Commodore 64 Music Universe is the discovery of this project from Poland. 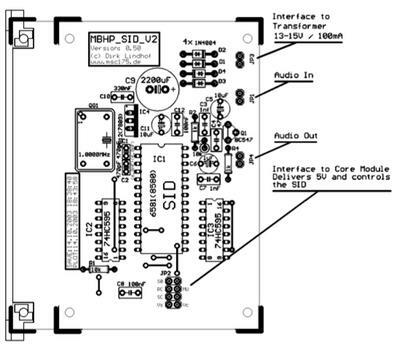 Yes, you're seeing right, It's a hardware replacement for the original Commodore 64 SID chip. It might be that it doesn't boast all the features I would desire of such an attempt to hack the SID but hey.. we can't complain ! Good work Mr.Swinkels. Keep it on! Wicked set of Microeventz coming up from the Micromusic mob in the next weeks in London, Enschede, Castricum, Paris, Basel & Stockholm. 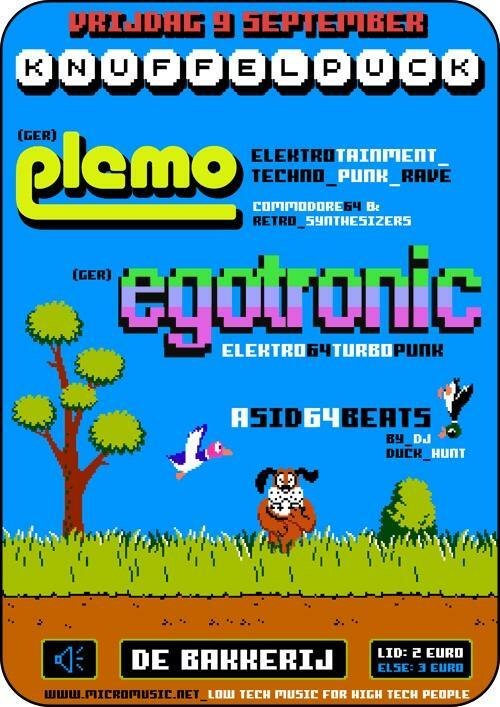 I was just having a listen to Egotronic (Berlin) and Plemo (Hamburg), who will be appearing live on the 9th of September 2005 at "The I have no clue what It's called event" at De Bakkerij in Castricum. What can I say ? Don't miss it!!! 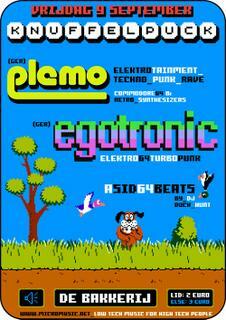 Plenty of nasty Commodore 64 sounds will be heard at these places so get yourself ready to Microfreakout! With this post we officially start our holidays (got to have them at some point !) but we will come back next week, so until then, take care my friends !!! Don't be sad.